This Horse Gag Bit is made with an elegant, simple yet a very modern style design. This item is made of a flexi material that softens the effect of the bit. 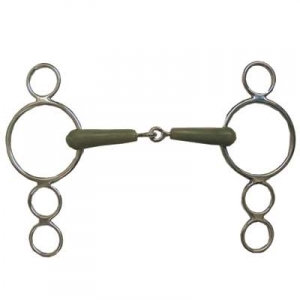 The Flexi Continental Gag Bit that we offer is a Top Quality item for your Horse. We provide top quality products for all equestrian riders. You can clearly see the top quality crafstmanship put into this luxurious horse bit.